Hello friends! Jack here and I am sitting on a nice, soft, white fluffy cloud. Happy Wordless Wednesday and thanks to BlogPaws for hosting the Blog Hop! What ever makes a rat happy! Maybe you're just on Cloud 9? Whatever it is, Jack looks like he's loving it! Oh man you tricked me, I thought it was a cloud! 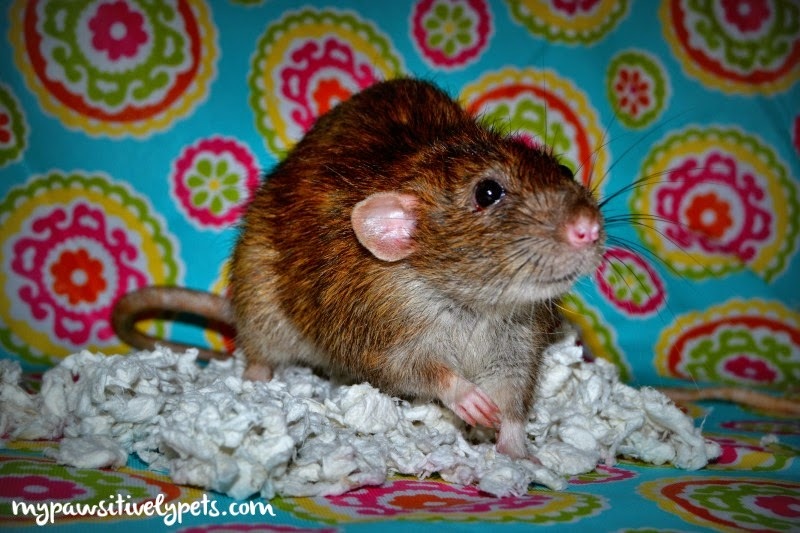 Jack is a great model rat. He is always so cute! I'm glad that he is enjoying his "cloud." There is nothing rodents like more than their bedding (well other than food). Cloud or not, that sure does look comfortable, Jack! Hi Jack! You know those are 2 words you should never say on an airplane. If you say its a cloud, its a cloud. ENJLOY it!